Like any festive gathering, a birthday provides many opportunities for creating a memory book. Whether you're celebrating with a large group of friends or keeping it simple with an intimate family gathering, be sure to gather mementos and photos to make a scrapbook. The key to creating a great memory book is getting beautiful photos. Be sure to capture that special birthday person performing all the tasks associated with this special day. Great photo opportunities include blowing out the candles on the birthday cake, opening gifts, posing with friends and sitting surrounded by balloons. The more photos you take now, the more options you'll have when creating the album. Even though photos are an important part of your memory book, they aren't the only thing you should include. 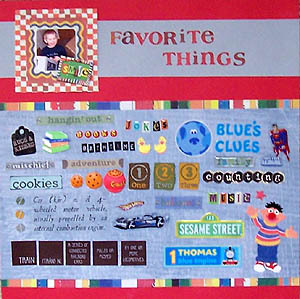 For a truly exceptional album, gather up other mementos like party invitations, wrapping paper, decorative placemats and napkins, and greeting cards. As you create your album, add these paper mementos to give your layout more depth. If you're making a birthday album for a child, don't forget to create a layout about that first birthday. In addition to lots of great photos, record your memories of the event. Did your baby behave during the celebration? How messy did she get while eating the cake? Mishaps and special moments really personalize a birthday memory book. The first birthday isn't the only important milestone you should record in your birthday-themed memory album. Also be sure to include other major birthdays, such as 16, 21 and 50. To make an album page for a momentous birthday, use die cut numbers or large rubber stamps to highlight the person's age. Surround the numbers with photos of the celebration and leave plenty of room to record your memories. Be sure to include lots of photos of family birthday celebrations. Great pictures include everyone posed together, children showing off for the camera and special moments between a parent and child. Under each family birthday photo, write your memories about the celebration. What was happening when the picture was taken? What made this moment special? This layout will be a wonderful reminder to everyone in the family for years to come. During the gift opening portion of your birthday celebration, take pictures of the recipient's reaction as he unwraps the presents. For children, the excitement of the moment will show on their faces and this can provide you with plenty of material for a magical memory book. For adults, a special gift may provoke a more subtle, but just as emotional reaction. As you create your layout, have the gift recipient write down her memories about opening a favorite present. One way to make your memory book even more special is to have guests help to create it. This can take the form of a party game during the birthday celebration. Have each guest write down memories about the birthday girl or boy, draw a picture of a special time they shared together, or simply autograph a page in the album. You can lay out a lot of art supplies and scrapbook paper so guests can get as creative as they like. Creating a senior memory book can be a great way to honor someone special or remember the important moments in your own life. A birthday-themed album can help your record the most meaningful events that happened during each year, including birthday celebration memories.